green glass countertop with two undermount glass vessel sinks make the Continental an imposing piece of furniture for the larger bathroom. Three solidly constructed drawers sit in perfect symmetry between four air-cushioned, soft-closing cabinet doors. 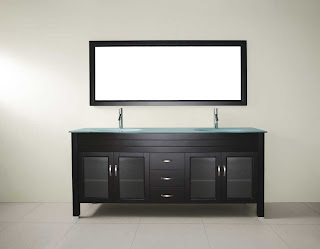 An awe inspiring one piece, mint green, tempered glass countertop and double-sink dominate this vanity. A cream travertine top with two white under-mounted porcelain sinks is another dramatic option. Amerigo’s majestic facia is an Art/Deco inspired, sixty three inch wide sweep of three tiered Americana. 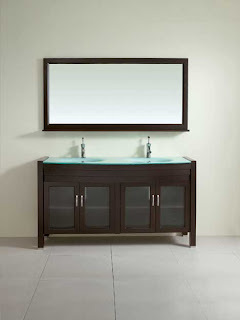 This is a vanity with grand, architectural scope. Remember yesterday- you were walking around downtown, that part of town that has all the high end uber current European designs in furniture. All you could recall were bright new season cherry popping reds contrasting with blacks and whites. That was this piece. A double sinked vanity comprised of clear class basins only emphasis the simplicity of the black stands, large white drawers and chrome hardware. Great for a larger space accommodating a crowd. 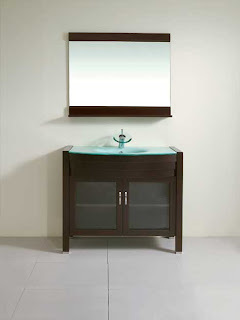 Contemporary bathroom vanity, a smooth one-piece molded countertop and sink made of generous, 15mm, mint green, tempered glass sits confidently on a solid hardwood cabinet. A gently curved, three tier facade terraces in a fashion recounting a classic automobile grill. Ample storage and soft-closing, glass fronted cabinet doors. 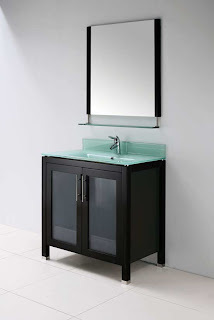 The Jackie Glass vanity comes with the same quality mint green countertop as the Jackie, but is also available with a subtle white/grey Carrera marble top and under mount porcelain sink. The sandblasted glass doors with soft-closing hinges are over 7 inches wider than the Jackie, translating into more storage space in the full-extension pull-out drawer. 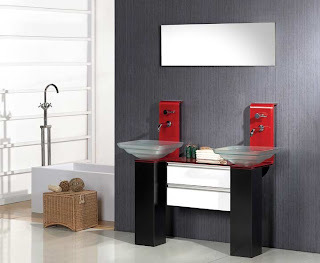 Classic collection Enzo bathroom vanity is available in different styles and colors. Combining beauty with function, they would fit any bathroom design. From compact single sink model, to a double sink option with incredible storage space- all of this vanity come with fully assembled modular cabinet and marble countertops with backsplashes. 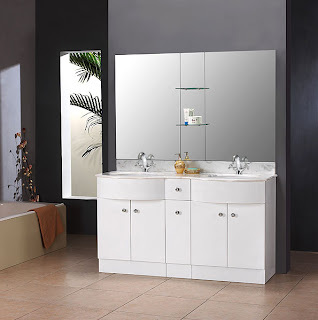 Vanity with two drawers and four bottom compartments with individual doors provide considerable storage. 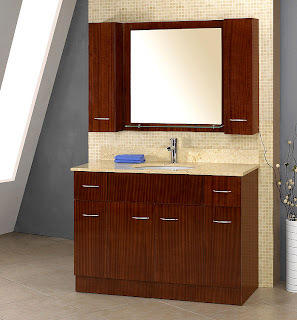 Add an optional mirror with integrated side cabinets. The fully assembled cabinet comes with a marble countertop drilled for single hole faucet and a backsplash.